FOR THE NEW YEAR ALL WE NEED IS SOME GREEN!! FOR 2017 ALL WE NEED IS SOME GREEN !!! As I bet you are all busy getting organised for the festive season I thought I share with you some ‘colour’s love’. This weekend Pantone, the market leader in colour communication and colour technology,has released their new colour of the year 2017 and it is FABULOUS !! It is called GREENERY . It might seems a bit silly getting excited about a release of a new colour ,but colours trends are quite important for my job , so I keep always a close eye on them because they can have a substantial impact on the industry. The other reason it is because I LOVE anything about colours anyway! 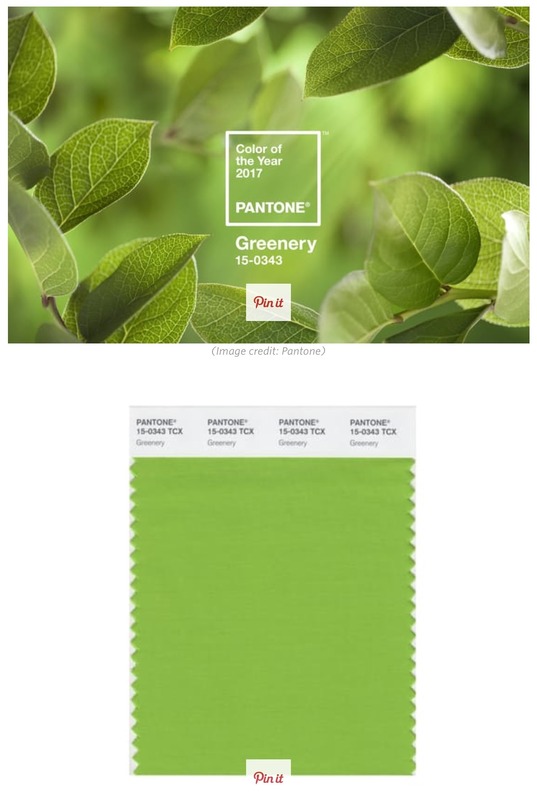 So ,if you are not familiar with,what is the PANTONE Colour of the Year? It is a symbolic colour selection; a colour snapshot of what we see taking place in our global culture that serves as an expression of a mood and an attitude. 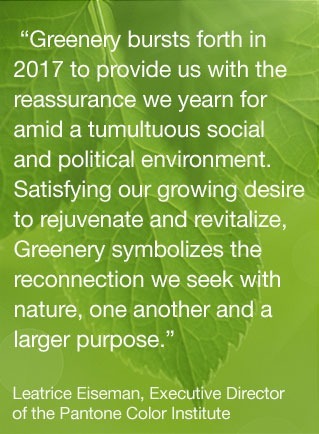 So even the colours industry seems to send a message of hope ,regeneration , environment issues ,etc and all the above is very relevant with the choice as Greenery is symbolic of new beginnings. So what do you think? You like it? I do. I think greenery is much better then last year choice of a dusty blue n a pale fleshy pink, and has a much better vibe too. 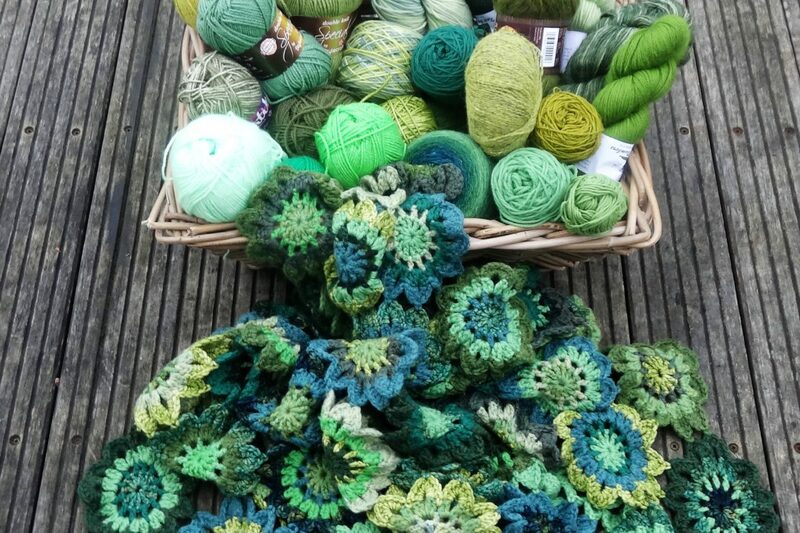 I know that some people find green difficult to use in crochet but ,trust me, green can be really effective and just lovely! 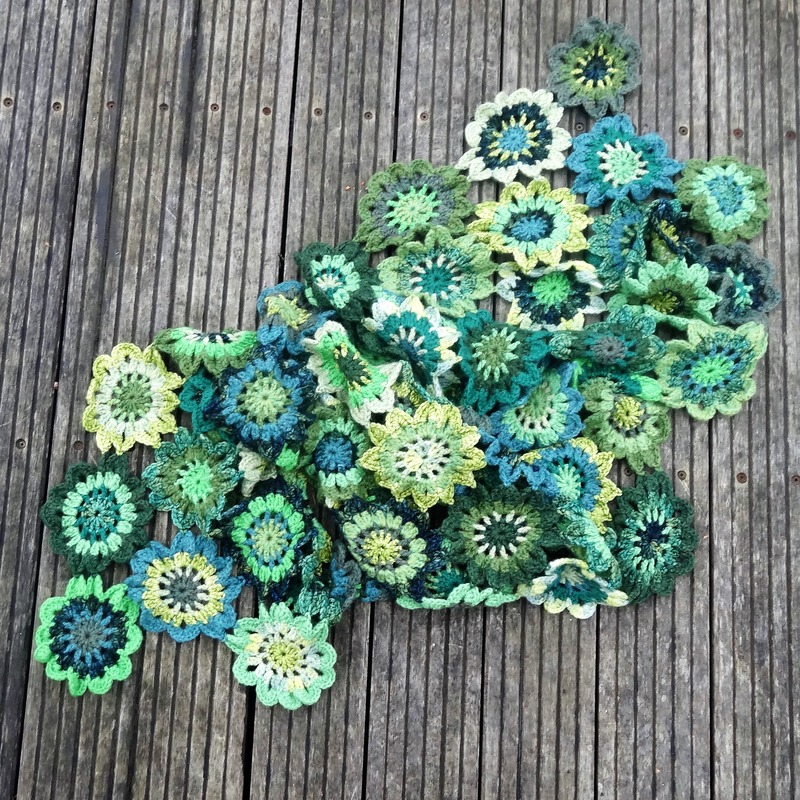 One of the projects I did last February was a multi-green wrap. I have been wearing it quite a lot because greens are one of those colours that goes with everything and it does compliment not only most wardrobes but also skin tones and complexions . Please Have a look because there are a lot of really nice projects, tutorials,reviews and amazing photography too. So , well, I had to make one too!! 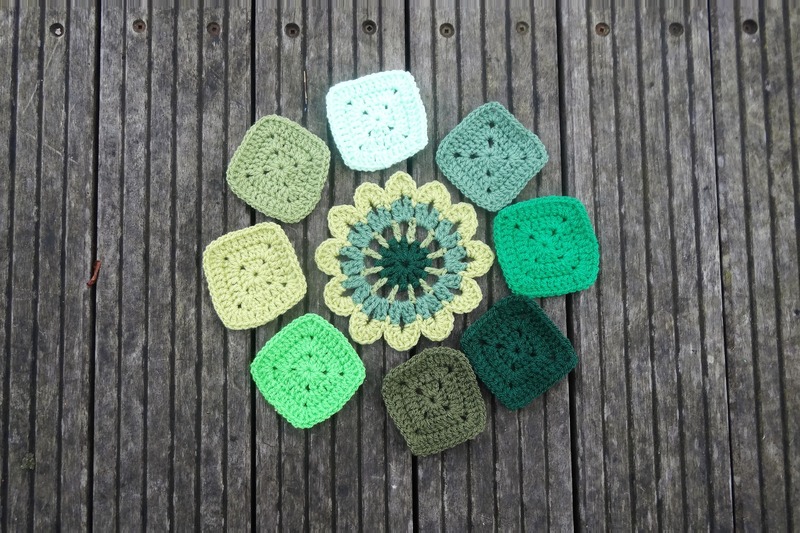 But don’t worry if you can’t get your hands on the book , it is not that crucial as there are so many very similar versions of the pattern on pin-interest so just put Japanese crochet flower on your search engine and see which one you like best . 2017 is going to be the GREEN YEAR so TRY SOME GREENS! P.S. 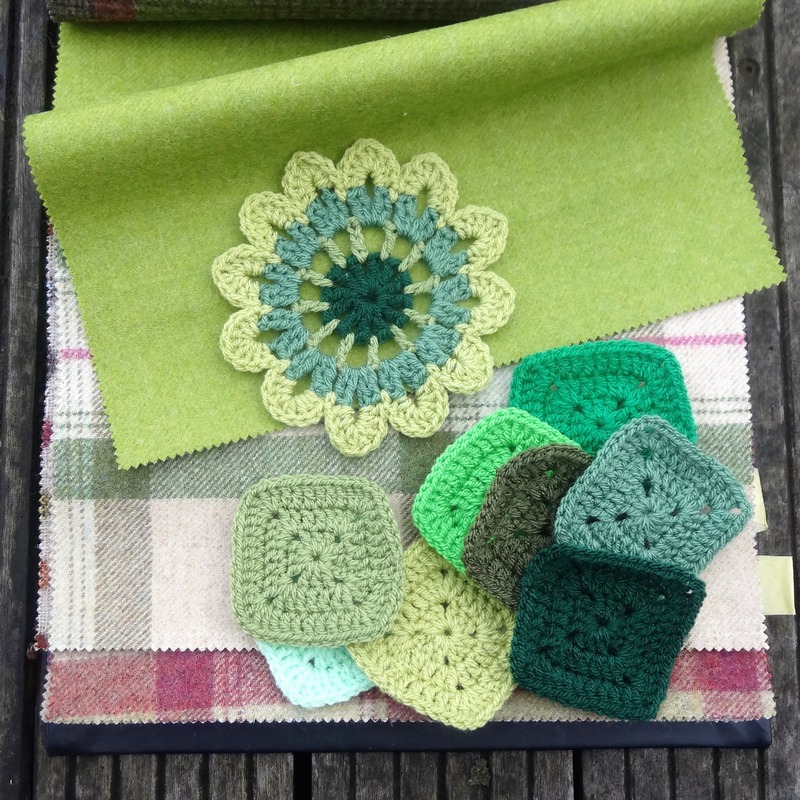 The sample is made with Stylecraft special dk in : bottle,meadow,cypress and pistachio. What a wonderful color, and the sentiment behind it is equally bright! Thanks for being the first blog (I’ve seen) to introduce the 2017 color.